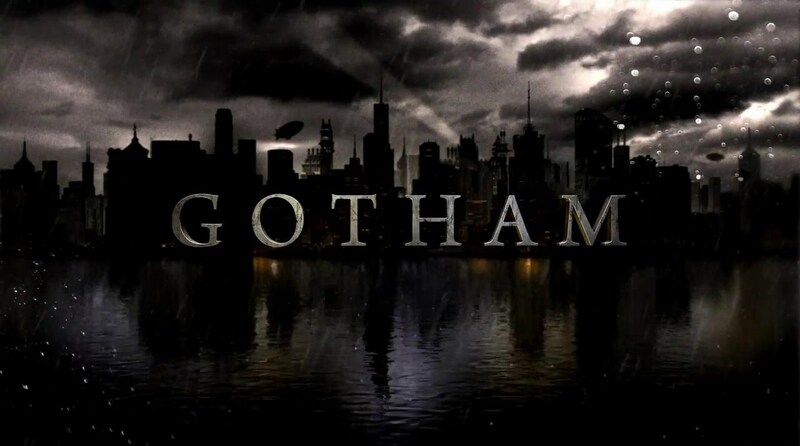 Next week Gotham begins airing the last set of new episodes heading to the first season finale. It’s already been renewed, so no need to worry about an unresolved cliff-hanger — if they do have a cliff-hanger they leave unresolved next season, hey, that’s part of the peril of watching a TV show these days. I wasn’t planning to watch Gotham. One of my major pet peeves for many years now is the “origin story” that seems to have infiltrated modern pop culture through comic books — and, yes, Dumas did it earlier, Edgar Rice Burroughs made sure we knew how John Carter got to Mars and that Tarzan was raised by a pack of apes. But I think comics pushed it over to the point where many people think you have to explain background which doesn’t need explaining. Robert E. Howard tossed Conan the Cimmerian out into the pages of Weird Tales willy-nilly, jumping from one part of his life to another on whim, but John Milius with his Conan the Barbarian movie presented a ponderous “origin” that ruined his film — it would have been better if the barbarian had just been bitten by a radioactive spider, and have done with it. And I definitely did not need an “origin” for Darth Vader — killed Star Wars for me, after the Ewoks had dealt it a cute, crippling blow. Sam Spade in The Maltese Falcon doesn’t need any more background than exactly what you get reading the novel. But somehow I got talked into giving Gotham a chance, and mostly like it. The cop plot is good enough, but the sicko twisted angles that haunt the Batman universe are strong pluses, and I really like the fact that the butler Alfred is an asskicker. I even like the kid playing young Bruce Wayne, and the casting on Penguin and the Riddler is perfect. So, I’m getting an “origin story” I didn’t want, and enjoying it. I guess as with anything, it all depends on how well something is executed. Plus in the last new episode before the break — “Everyone Has a Cobblepot,” S1E18 — Gotham gave me something I realize I never expected to see. I wasn’t even thinking it could occur. But suddenly, there in the opening credits, two actors in the same episode named Dashiell. You may or may not know someone who has named a kid Dashiell, but doing the tour I have met many over the years. I don’t write them down or anything, just make a mental note — when I first became aware of the practice in the late 1970s I would tell people that the kids who got tagged with the name probably would do what Hammett was doing up to the point he became a writer and decided a fancy moniker would look good on the page: use your other name. Until he started using the byline, Hammett was known as Sam Hammett or Samuel Hammett or Samuel D. Hammett. Here and there over the decades I have heard of other Dashiells — the guy who currently rents the Spade apartment in 891 Post apparently has an offspring of that name. Since I don’t keep track, I’m not sure if it is a fad that comes and goes in waves, if a TV movie or a new bio might kick in a few baffled children trying to get the spelling down — or what inspires the phenom. My sense is that the kids who got named back in the era when the tour started had parents with leftist political bents, who liked Hammett because he stood up to McCarthy — but I’ve seen the political interest subside and more attention now paid to Hammett purely as a writer. Each cycle will recede, and then come back around. “Everyone Has a Cobblepot” features Dash Mihok — my pal Leo Grin pointed out to me that he was named after Hammett a few years ago — an actor I’ve seen in quite a few things. He did what people in Hollywood were doing with Hammett’s name by the 1930s, cutting it down to a nice simple and effective Dash. Dashiell Eaves, also in the cast as a doomed confederate of Fish Mooney, is new to me — interesting that both actors were born in 1974. Obviously, by 1974 naming a kid Dashiell was in the air. And now it is raining Dashiells in Gotham City. This entry was posted in Dash, Film, News, REH, Tour and tagged 891 Post, Alexandre Dumas, Batman, Dash Mihok, Dashiell Eaves, Edgar Rice Burroughs, Gotham, John Milius, Leave It to Beaver, Leo Grin, Lyle Talbot, Senator Joseph McCarthy, Stephen Talbot, Weird Tales. Bookmark the permalink.